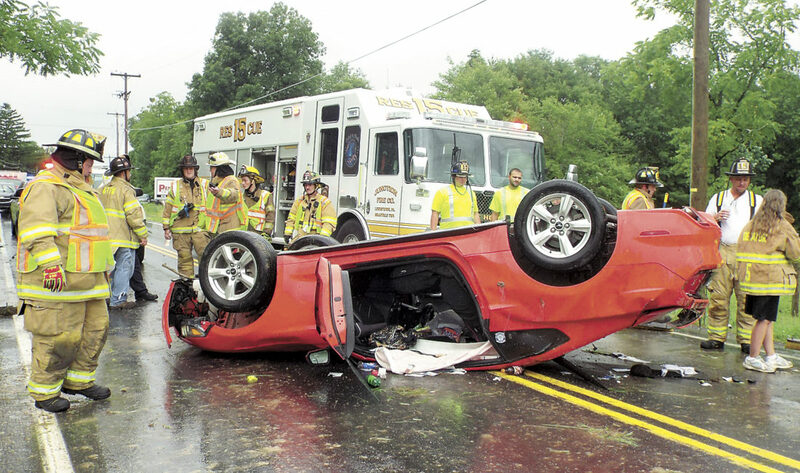 Firefighters from Junction Fire Co. respond to a vehicle accident on U.S. Highway 522 on Tuesday afternoon in McClure. According to Pennsylvania State Police Lewistown, the back end of the vehicle swerved due to water pooling in the roadway. The vehicle’s front end then struck an embankment, causing it to overturn before coming to final rest. The operator of the vehicle was reported wearing his seat belt at the time of the accident, but was transported by FAME EMS to Geisinger-Lewistown Hospital for treatment of injuries.